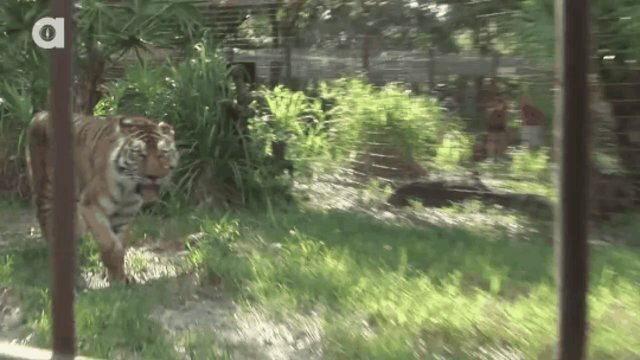 At the end of May, Big Cat Rescue of Florida participated in a multi-rescue operation to save the lives of 11 tigers, 3 bears, 3 lions, and 2 wolves that had been penned up in disgusting conditions and starved due to owner negligence. 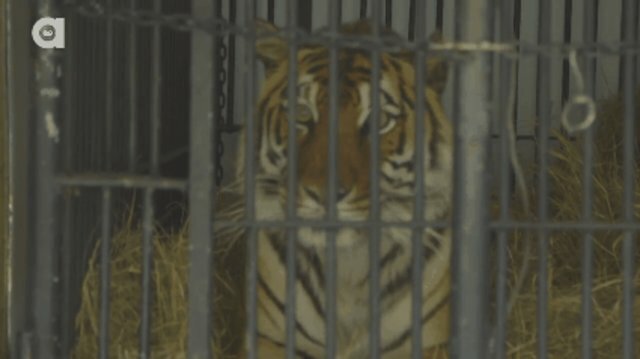 Every year innumerable exotic animals are bought or bred irresponsibly by backyard operations to sell as photo props and pets, and inevitably end up back in those yards as breeding stock or in pseudo-sanctuaries as hoarded showpieces. The costs of feeding and taking care of these expensive animals often bankrupt small operations, and the owners leave the animals to die. 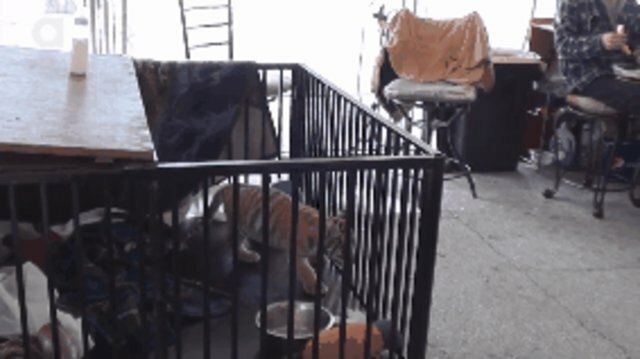 This is the story of Sasha, Kimba, Zeus, and Keisha, four tigers who (among many other animals) spent their lives starving and lying in their own excrement at JnK's Call of the Wild, a so-called "rescue" opened in 1997 in southwestern New York by Ken and Jackie Wisniewski. Unfortunately the damage caused by the Wisniewskis' neglect had proven too much for Sasha, who died mysteriously some time before the rescue. 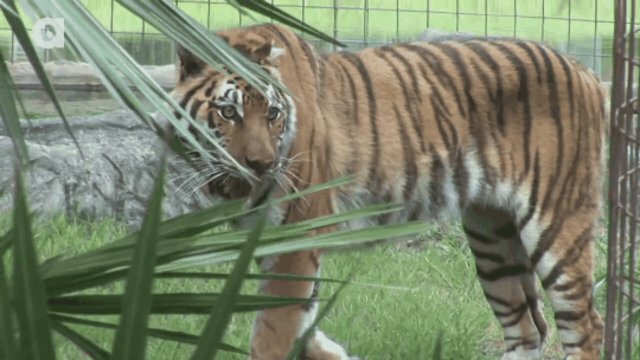 Kimba had to be euthanized 17 days after the rescue because her body was unable to recover from all the injuries and infections she had sustained from her prior living conditions. Sasha and Kimba paid the price of the neglect and ignorance that motivate many people to start fake backyard rescues and breeding operations like Call of the Wild -- people like the Wisniewskis endanger the lives of people and wild animals every day, by putting them together in close quarters when the animals have been starved and imprisoned in shabby, dirty cages that are too small to represent a real living space for animals used to living in freedom. 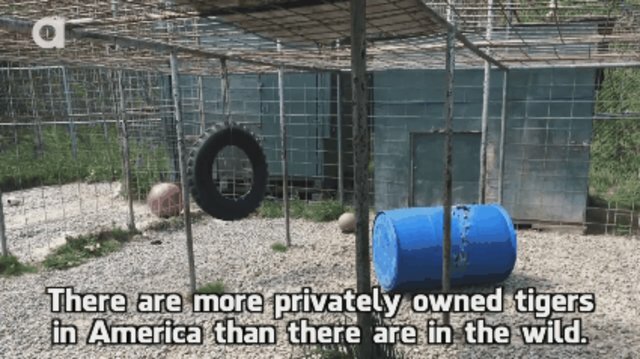 Still, many animals from Call of the Wild were saved from slow, starving deaths or euthanization, and most were able to make their way to healthy lives in proper sanctuaries thanks to IFAW's support. 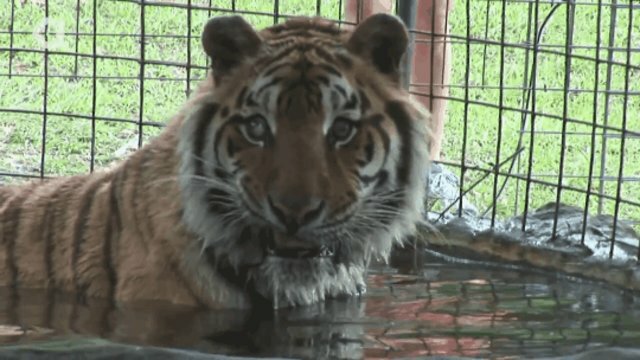 Here, Zeus plays in his pool while an eye specialist is called to consult on an old injury. Below, Keisha enjoys trotting around her new home in sunny Tampa, looking happier and healthier already! 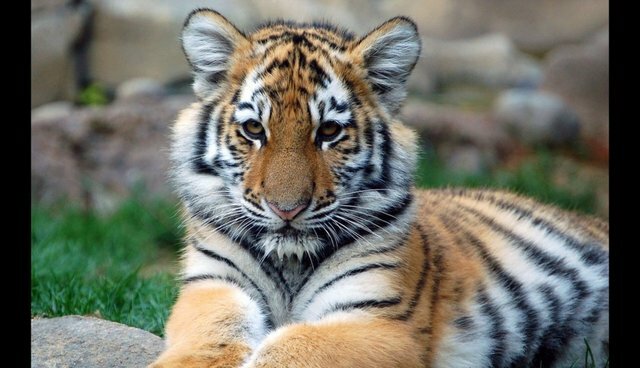 To find out more about big cat advocacy, visit Big Cat Rescue's Action Center.